1223 Tranquilla Drive Dallas Texas 75218 is offered for sale April 5, 2016 at $394,900. Updated home in sought-after Casa Linda Estates. Original hardwood floors, recent windows, granite countertops. Kitchen has Stainless Steel appliances, stone tile backsplash. Kitchen leads to wood deck and large backyard with lots of trees. Walk to White Rock Lake, Casa Linda Plaza, The Royal Pour, and Goodfriend! The Texas city known as Big D has more than enough room for those planning to move to Dallas, Texas. Business opportunities, Quality, Affordable Housing, Higher Education, Arts and entertainment, Friendly neighbors. More than 500 people move to the greater Dallas area each day from every part of the nation and the world for reasons as varied as they are. 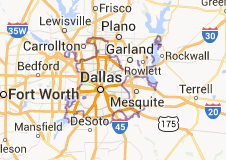 But the fact is that Dallas is big enough for all of them. Whatever the reason for considering Dallas, resources are available to help you understand why 7 million people now call Dallas home. Hurry up though. Someone else just arrived while you were reading this. Located in North Texas, Dallas is the main core of the largest inland metropolitan area in the United States that lacks any navigable link to the sea. Dallas and nearby Fort Worth were developed due to the construction of major railroad lines through the area allowing access to cotton, cattle, and later oil in North and East Texas.